The irony is Sarah [Shourd] Josh [Fattal] and I oppose U.S. policies towards Iran which perpetuate this hostility. Bauer’s credentials as a “Peace and Conflict Studies” major at Berkeley obviously did not prepare him for the harsh treatment he got from his Iranian jailers. He seems to have believed that his anti-Americanism would protect him which is certainly why he and his fellow hikers believed, as San Francisco Chronicle columnist Debra Saunders writes, that “an unmarried 31-year-old woman … traveling with her 27-year-old boyfriend throughout the Arabian Peninsula, among people who would not tolerate the same behavior from their own” would not be a problem. After all, they must have thought, we are not your typical arrogant Americans; we are ascetic young intellectuals who seek only to “reach out” to the Islamic world, to heal the wounds America has inflicted on Muslims. They had a lot of faith in their own virtue, meaning opposition to the Iraq War and Israel, and in how much any of that would mean to their Iranian captors. Did they understand that they weren’t in Berkeley anymore? 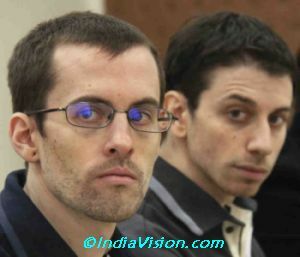 The hikers must have thought they were dealing with fellow intellectuals, intellectuals with a cause, who cared about “world opinion” and would never jeapordize the support of their international supporters by kidnapping and imprisoning them. Maybe they don’t teach anything about the Iranian Hostage Crisis in the Peace and Crisis Studies Department. They must not have known that previous to the 1979 storming of the American Embassy in Tehran, hostage-taking was seen as an outrage violating a centuries-old principle of international law granting diplomats immunity from arrest and diplomatic compounds sovereignty in their embassies. They must not have known that such an act could be construed under international law as an act of war justifying a military response. They must not have known that the Iranians had shown over decades that they didn’t care about no stinkin’ international law and that “the world’s” concern over their plight didn’t amount to a hill of beans in Tehran. Unfortunately, it doesn’t appear, from their statements, that Shourd, Bauer and Fattal have learned much from their time in Iran, at least not yet. Maybe it’s another case of Stockholm Syndrome where the captives come to indentify with their captors. Perhaps with time, they will realize that what they had in Iran was a rendezvous with evil and come to understand its true nature. If it comes, I suspect it will make Shane Bauer question all that he was “taught” in his Peace and Crisis Studies courses. 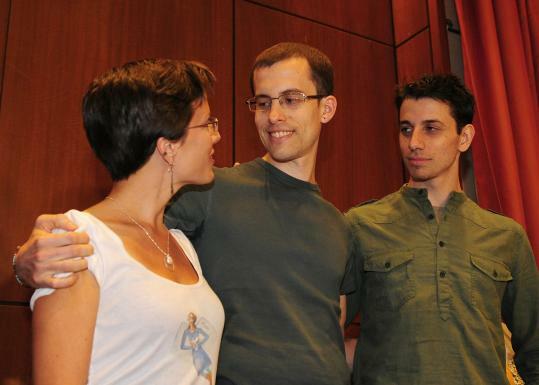 …[Shane] Bauer, a freelance journalist, along with Sarah Shourd, a teacher and women’s rights activist, and [Josh] Fattal, an environmentalist, were arrested July 31, 2009 while hiking in Iraqi Kurdistan. Shourd was released last year. Bauer’s and Fattal’s remarks were critical of American foreign policy towards Iran as well as the Iranian government’s treatment of it’s own people. The main responsibility [for the stalemate] right now belongs to Prime Minister Benjamin Netanyahu of Israel who refuses to make any serious compromises for peace. He appears far more concerned about his own political survival than his country’s increasing isolation or the threat of renewed violence in the West Bank and all around Israel’s borders. Well, at least, Palestinian “President” Mahmoud Abbas doesn’t have to worry about his political survival. His term officially ended in January of 2009, but not to worry: He unilaterally extended his term for another year and continues in office even after that second deadline expired. No mention of that from the Times. There is no mystery to what a final deal would look like, just a lack of political courage to push it to the end. In The Times on Thursday, Ehud Olmert, Israel’s former prime minister, wrote about his own 2008 peace offer to Mr.[Mahmoud] Abbas, which would have led to the creation of a Palestinian state on territory equivalent to the pre-1967 West Bank and Gaza Strip, with mutually agreed land swaps. Mr. Olmert said his ideas were never formally rejected by Mr. Abbas, who, despite recent assertiveness, suffers from an inability to make decisions [my emphasis]. The Times didn’t say whether this affliction is “suffered” only by Mr. Abbas or whether it is endemic to Arabs and Muslims in general. If it’s a racial trait, that would explain a lot: The Arabs are simply torn between making peace with Israel and wiping them off the face of the earth. Maybe it’s like the “gay gene”: They can’t help themselves. They’re indecisive, get over it? One wonders if, perhaps, there exists an indecisiveness gene not yet discovered. If so, we have been beating our heads against a wall for all these years trying to get the Arabs to settle with Israel, when all that time they have been congenitally incapable of giving peace a chance. 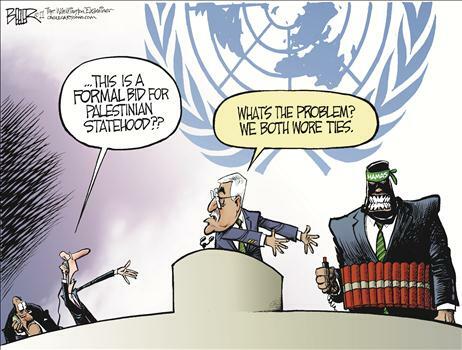 The Israelis, it seems, have all along been mistaking indecision for murderous intent. Who knew? Perhaps “stem cell” research, rather than politics, will solve the conflict. There is always the chance Barack Obama will rise from the ashes next November, but I don’t think it too early to consider how he went, in only three years, from the most brilliant, most eloquent guy ever to an inexperienced incompetent who can neither do anything right (with the exception of the bin Laden whack) nor utter a sentence which isn’t liberal piety or leftist demagoguery. The answer lies in both the toxic self-esteem our modern education system instills in blacks who wear their pants above their rear ends and are capable of uttering a comprehensible sentence and the credulity of the so-called educated class toward minorities and women. Why did the Democratic Party (whose members consider themselves “quality people”) insist on making their 2008 primary elections a choice between a woman who owed her prominence to her husband and who carried more baggage than U.S. Airways and a one term senator who was completely bereft of any experience in the real world? The answer: the defining role race and “gender” play in the liberal mind. Race and gender (when one is a Democrat) bestow magical powers that white males (particularly Republicans) can never access. It isn’t that the Democrats did not have good candidates. One person who stands out is Indiana’s Evan Bayh. A two term governor and senator, Bayh comes from a well known political family; he is young, good looking, smart and articulate. What’s not to like? Problem is he’s a white guy and white guys don’t get the liberals’ juices flowing. The most a white, male politician can aspire to nowadays is to be considered merely intelligent and merely well-spoken. Brilliance and eloquence are reserved for women and minorities. Next to brilliance and eloquence, mere experience counts for almost nothing. Thus the perplexity exhibited by liberals now that Obama has shown that he may not even be smart and well-spoken, that he may, in fact be clueless and boring. … in 2008 nobody had direct experience with Barack Obama. He was the man from nowhere. We had no a posteriori way of judging him. 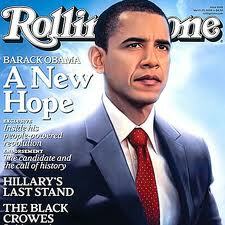 But in 2008 a very large number of people saw Barack Obama stumping on the stage. Interestingly, many saw him exactly as [Martin] Peretz, [David] Brooks, and [Peggy] Noonan did: a fairly competent politician who might be left of center but whose policies and likely actions would fall well within the mainstream and bounds of rational behavior. But others saw him right off as a huckster. Neither group could quite explain to the other why what they saw was the “true Obama.” Why did two different sets of people see the same Obama images and come to different conclusions? The reason I think is prior collateral information, or experience. It would be interesting to study whether the same group of people who tended to view Barack Obama unfavorably in 2008 also saw John Edwards as a sharper. There was something about Edwards’ hair, the unnatural emphasis with which he delivered his messages, some oleaginous quality that hung about him that…stirred memories of something unpleasant in the viewer. But these unpleasant memories were largely absent in middle class, college educated, white America. These were nice people. They didn’t routinely associate with the con-men, hucksters, pawnshop brokers, and street corner grifters. To them the perfect hair, the nice suit, and the emphatic speech were simply proof of good personal grooming and culture. But to others these very same things were too clever by half. And just as the sight of a man climbing out of the window with a bag at night would arouse no suspicions in persons unfamiliar with burglars, neither would Obama’s papered over resume ring any alarm bells in people prepared to think the best of everyone. Given the paucity of investigative information on Obama, given his near absolute lack of a substantial track record, it was natural for Peretz, Brooks, and Noonan to be taken for a ride. Not because they were dumb, but because they were “quality” people. But there’s one last thing that nice people don’t know. It is that hucksters aren’t confined by the same boundaries they assume everyone else is contained by. They are capable not only of sucker-punching you, but of exceeding limits you never thought could be transgressed. Grifters are in some sense not part of the same civilization that Peretz, Brooks, and Noonan inhabit. Maybe they don’t believe this yet. But they will. They will. 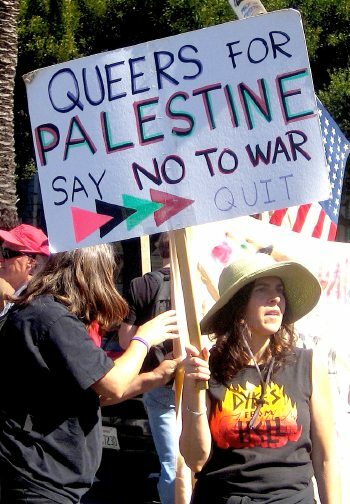 …the cognitive dissonance of Queers for Palestine — marching in support of those who would kill you if they were given the opportunity — only serves to illuminate the cognitive dissonance of the entire “anti-war movement.” Because the goal of the “War on Terror” is to protect the liberal, free, egalitarian democratic society that we all cherish from the forces of oppression, totalitarianism and religious fundamentalism. Yet the anti-war crowd strives to compel the very soldiers who are defending them to lay down their arms, as if the battle would suddenly cease if one army were to stop fighting. So the anti-war crowd must ignore the evidence that one side is fighting to impose the harshest form of religious conservatism not just on their own countries but on the entire world given half a chance, whereas the other side (our side) is fighting to preserve a progressive civilization. That’s right, folks — this war’s for you. Are you for refusing medical treatment to a person “who cannot afford insurance” and comes down with something requiring expensive hospitalization and treatment? This was the question Wolf Blitzer asked Republican candidates during last week’s debate. 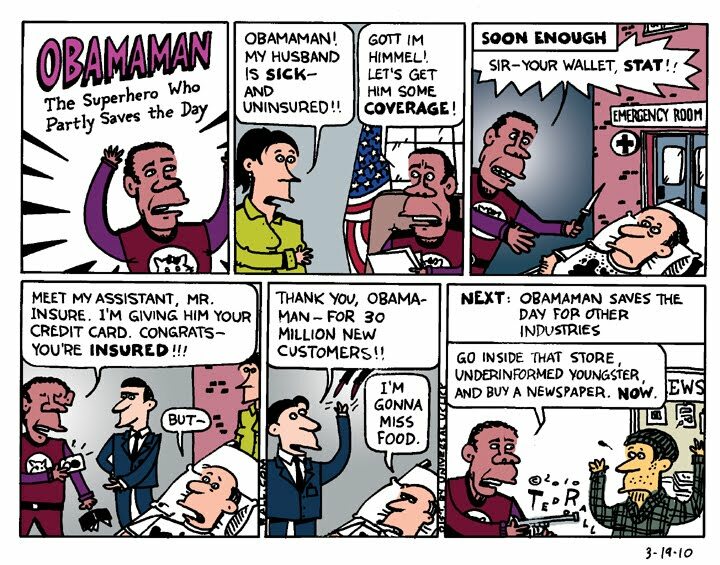 …Obama campaigned for his national health care bill with a sad story about a campaign supporter who died of breast cancer soon after his election because — he said — she couldn’t afford health insurance, so she didn’t get a breast cancer scan in time to stop the disease. Apart from the fact that free breast cancer screening was available right in his supporter’s hometown of St. Louis, she undoubtedly would have been able to afford excellent health insurance … except the government outlawed affordable health insurance. Thanks to accumulated government mandates on insurance companies at that time, imposed by both the state and federal government, Obama’s Missouri supporter was allowed to buy health insurance only provided it covered: chiropractors, speech therapists, hearing therapists, psychologists, dentists, optometrists, podiatrists (Missouri), as well as mental health benefits, unlimited hospital stays for newborns and mothers, and reconstructive surgery after mastectomy (federal). When starting her own business and struggling to make ends meet, the Obama supporter might have been better served by a cheaper policy that covered only, say, actual medical problems. But the government didn’t permit her that option. Obama’s poster-child for government-run health insurance was a victim of government-micromanaged health insurance. It would be as if the government prohibited us from buying cars unless they were Lexus SUVs, fully loaded with every possible option. Why are the only two options always a behemoth government program or the guy dies? The commemoration is subdued? How odd – nothing says “Let’s Party” like the deaths of 3,000 civilians. Well, Krugman got his Nobel Prize for [my addition: leftist rants], not psychology. I watched a bit of the memorial service at Ground Zero. Two strangers would go through about six names from the alphabetized list; then they would read off the name of their father, mother, brother, sister, niece, or whatever, say a few words, and move off-stage. Some of the readers were totally composed, but most got a bit choked up when they got to their loved one. Watching twenty year-olds say good-bye to a mother they lost when they were ten isn’t easy, but watching a forty year old cop lose it when saluting his father is not so easy even for a cold-hearted, insensitive right-wing troglodyte like me. Now, I suppose it is possible that the family members were choking up because they were reflecting on the Iraq War and the grim reality that Gitmo remains open. Or perhaps they were subdued by concerns over the Patriot Act and warrantlesss wiretapping. I am not smart or sensitive enough to be a lib like Krugman, but I didn’t see it that way. Wow. 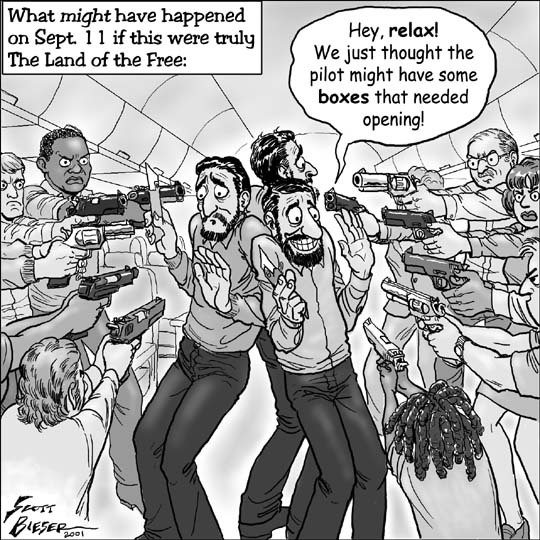 I’ll let you know when I am ashamed of the heroism of the United 93 passengers, or New York’s Finest or Bravest. But don’t be holding your breath. that a majority of Muslims in several Middle Eastern countries believe that the Sept. 11 attacks were not carried out by Arabs. The report, titled “Muslim-Western Tensions Persist,” sought to investigate public attitudes about the relationship between the two global communities. For the portion of the survey related to the Sept. 11 attacks, responses were gathered from Muslims in Egypt, Turkey, the Palestinian territories, Jordan, Lebanon, Israel, Indonesia and Pakistan. A majority of Muslim respondents in each of these countries said they did not believe the 9/11 attacks were carried out by Arabs, the highest rate being in Egypt where 75 percent of Muslims said they did not believe that Arabs were responsible, closely followed by 73 percent of Muslim respondents in Turkey. You might expect ignorant Arabs living under oppressive rule and a medieval religion to believe the nonsense fed to them by their media, schools, and clergy; but how to explain the beliefs of almost half of your friends and neighbors right here in America, most of whom have had the benefit of an outrageously expensive education? There is no way that very many, if any, of the 43% of Americans who blame their own country for 9/11 are Bible thumpers who think there are some “gaps” in Darwin’s theory of evolution, and/or are skeptical of man-made global warming, and /or do not think there is anything in the Constitution about a woman’s “right to choose” an abortion. Still, the recipients of that expensive education or, to be specific, the immaculately politically correct views that education instills, believe that America made “them” do it. To the educated classes, belief that America did 9/11 to herself is preferable to the evangelicals’ belief that disasters are God’s punishment for our sins. In both cases, a good deal of blind faith is required. In the world of the sophisticated 43%, there are, as Mark Steyn has noted, no bad people, only good people whose grievances we have not yet accommodated. The Daily Beast cites previously unrevealed evidence that the FBI missed chances to thwart the 9/11 murderers. What the piece does not consider is why various FBI Headquarters big wigs refused to take seriously the frantic pleas of FBI field agents to look into reports from flying schools that sketchy Middle Eastern men were interested in learning how to fly airliners. Could the answer be what historian Paul Johnson calls the phosgene gas of political correctness that has descended on the Western World? Could it be all those sensitivity sessions FBI agents endure in order to insure that no agent would ever consider “racially profiling” anyone but those who are obviously incapable of carrying out an act of mass murder? Surely, the bureau brass in Washington would share his concern, Samit thought. He was wrong. That same day, halfway across the country in the fluorescent-lit hallways of the J. Edgar Hoover FBI headquarters building in Washington, counterterrorism supervisors were treating Samit’s first reports about Moussaoui with skepticism, even contempt. Michael Maltbie, a D.C. counterterrorism specialist, insisted repeatedly in the days after the arrest that there was no clear link between Moussaoui and Al Qaeda—the link needed for a warrant. Maltbie thought Moussaoui was a “dirty bird,” he later told investigators, but favored deporting him to France. Believing a hijacking might be imminent, Samit appealed to his boss in Minneapolis, Special Agent Greg Jones. Jones picked up the phone on Aug. 27 and called Maltbie at FBI HQ. Photos: Where Are They Now? At CIA headquarters, alarm bells were ringing loudly. CIA Director George Tenet was briefed on Moussaoui within days of the arrest, receiving a paper with the eye-catching headline “Islamic Extremist Learns to Fly.” But the FBI’s acting director that summer and the bureau’s most senior counterterrorism official were left in the dark. Nelson says he went to the school’s managers and urged them to call the FBI. Their response: keep your mouth shut if you want to keep your job, the flight instructor says. At 8:15 on Wednesday morning, Aug. 15, Nelson called the FBI’s Minneapolis office from his family cellphone. (The flight school declined to comment.) By 10 a.m., the FBI probe was in Samit’s hands. Samit and his colleagues felt they had to be aggressive—especially after the FBI legal attaché in Paris reported back on Aug. 22 that French spy agencies had evidence showing Moussaoui was a recruiter for Ibn Omar al-Khattab, a Muslim extremist and Chechen guerrilla leader long allied with Osama bin Laden. (A companion of Moussaoui’s, picked up at the time of his arrest, told the FBI that Moussaoui followed a “prophet”—Khattab.) But Maltbie, known to colleagues as hypercautious and exceedingly low-key, said he saw no evidence that Moussaoui was connected to a foreign government or well-known terrorist group that would meet the definition of a “foreign power” under U.S. intelligence laws—the standard required to trigger a warrant. Desperate to prove the needed link, Samit reached a CIA counterterrorism expert who said he had no doubt that the Chechens and Al Qaeda worked together. “Khattab was a close buddy with bin Laden from their earlier fighting days,” the CIA official wrote. David Frasca, Maltbie’s direct superior, says that he was startled that he had never seen the Freeh memo, since it suggested just the sorts of links Maltbie was denying existed to the Minneapolis field office. Copies of the Freeh memo were directed to eight senior officials at the FBI, including Michael Rolince, who oversaw the work of Frasca and Maltbie, among many others at HQ. Rolince said he had no recollection of ever seeing the document. (He also tells Newsweek he never saw another memo, directed to his staff by the FBI’s Phoenix office, calling attention to the unusual number of young Arab men tied to Muslim extremist groups who—like Moussaoui—were seeking pilot training. The Phoenix memo recommended a nationwide investigation of flight schools.) “In the Moussaoui case, everything dies at Rolince’s desk,” said Edward MacMahon, the D.C. lawyer who represented Moussaoui at trial. There is no clear reference to the Freeh memo in the 9/11 commission’s report, nor in several other government reports about pre-9/11 intelligence blunders. An FBI spokeswoman said she had “no reason to believe” it had been withheld from investigators. Waiting to be interviewed on the radio the other day, I found myself on hold listening to a public service message exhorting listeners to go to 911day.org and tell their fellow citizens how they would be observing the tenth anniversary of the, ah, “tragic events.” There followed a sound bite of a lady explaining that she would be paying tribute by going and cleaning up an area of the beach. Marvelous. Because studies show that many middle-school bullies graduate to hijacking passenger jets and flying them into tall buildings? And if that message of “healing and unity” doesn’t sum up what happened on September 11th 2001, what does? A painting of a plane flying into a building? A sculpture of bodies falling from a skyscraper? Oh, don’t be so drearily literal. “It is still too soon,” says Yidori Mashimoto, director of the New Jersey City University Visual Arts Gallery, whose exhibition “Afterward And Forward” is intended to “promote dialogue, deeper reflection, meditation, and contextualization.” So, instead of planes and skyscrapers, it has Yoko Ono’s “Wish Tree,” on which you can hang little tags with your ideas for world peace. What’s missing from these commemorations? Oh, please. There are some pieces of the puzzle we have to leave out. As Mayor Bloomberg’s office has patiently explained, there’s “not enough room” at the official Ground Zero commemoration to accommodate any firemen. “Which is kind of weird,” wrote the Canadian blogger Kathy Shaidle, “since 343 of them managed to fit into the exact same space ten years ago.” On a day when all the fancypants money-no-object federal acronyms comprehensively failed – CIA, FBI, FAA, INS – the only bit of government that worked was the low-level unglamorous municipal government represented by the Fire Department of New York. When they arrived at the World Trade Center the air was thick with falling bodies – ordinary men and women trapped on high floors above where the planes had hit who chose to spend their last seconds in one last gulp of open air rather than die in an inferno of jet fuel. Far “too soon” for any of that at the New Jersey City University, but perhaps you could re-enact the moment by filling a peace tag for Yoko Ono’s “Wish Tree” and then letting it flutter to the ground. Any room for that on the Metropolitan Museum “Peace Quilt”? Sadly not. We’re all out of squares. 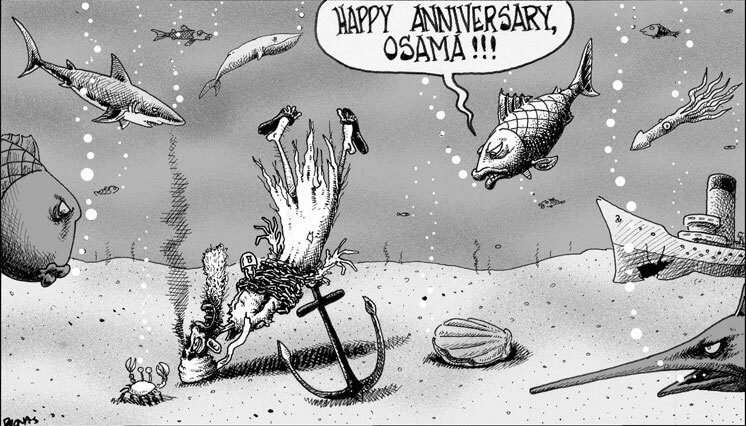 What else is missing from these commemorations? Heard NPR’s Fresh Air with Terry Gross yesterday. 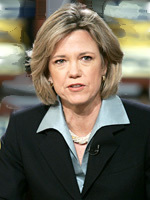 She interviewed, in Terry’s words, Pulitzer Prize winning Washington Post investigative reporter Dana Priest. The interview was really a plug for a Frontline documentary on PBS aired last night that purports to expose something Priest refers to ominously as “Top-Secret America,” about which we are supposed to be terribly afraid. Priest tells us about how the Bush administration expanded our intelligence capabilities after 9/11 (and with a lot less emphasis, how the Obama administration kept just about all of it, despite Obama’s pledge on the campaign trail to dismantle it when he became president). In the interview, Priest repeatedly and inexplicably notes that all of this is ultra, ultra secret; yet she has managed to write a book about it despite her admission that she really doesn’t know what’s going on, at least not first hand. The Frontline documentary makes clear, however, where she got the information about these secret programs: from a whole bunch of government officials who seemed completely comfortable talking about all this hush hush stuff on camera. Bush CIA director Michael Hayden was a veritable gusher of supposedly secret stuff that, in Priest’s words, nobody knows about. But Priest and her Frontline collaborators will have none of that. What the CIA interviewees will not say – that all of the efforts to defend the country against another attack were unnecessary and sinister – Priest and her co-author, aided by a portentous narrator, emphasize shamelessly. 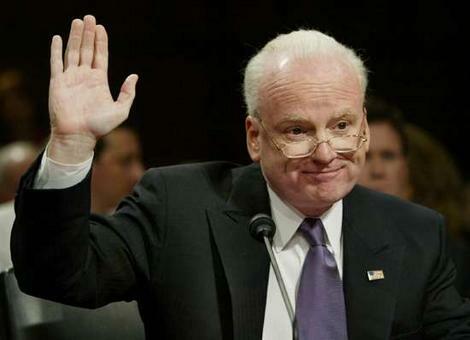 And then there’s one Richard A. Clarke, former intelligence maven and 9/11 Commission witness, who has made a lucrative post-government career out of Bush bashing for the liberal media. He is the one person in the documentary who enthusiastically puts the most sinister spin on every counter-terrorism effort after 9/11. What nobody mentions, however, is how the 1960’s, Vietnam and Watergate eviscerated our intelligence capabilities. Nobody mentions the oleaginous Senator Frank Church and his committee of self-righteous, preening political hacks who did so much to destroy our intelligence agencies. Thank God (excuse the expression) for the officials who recognized our self-inflicted vulnerability and worked so hard to keep us safe the last 10 years.